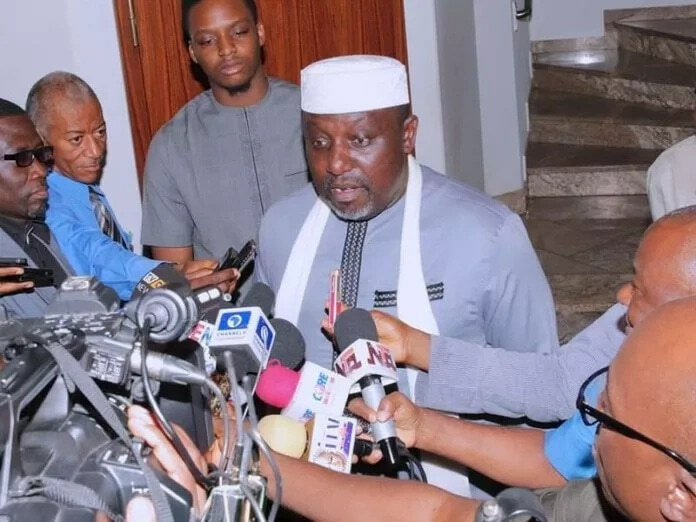 Justice Taiwo Taiwo of the Federal High Court, Abuja on Wednesday, withdrew from the suit filed by Governor Rochas Okorocha of Imo in respect to his Certificate of Return. When the matter came up for hearing on Wednesday, Justice Taiwo announced his decision to excuse himself from adjudicating on the matter based on allegations of bias against him. The Judge said that the decision was sequel to allegations of bias made against him by Candidate of the Peoples Democratic Party, PDP, for the February 23 National Assembly elections, Jones Onyeriri and that of the All Progressives Grand Alliance, APGA, Osita Izunaso. An affidavit deposed to on his behalf by a lawyer, Chijioke Nzekwe, stated that Justice Taiwo had on Friday told Counsel to INEC, Wendy Kuku, that the Commission was responsible for the problems in the election. “This is because the 2nd and 3rd defendants (INEC and Onyeriri) have Notices of Preliminary Objection challenging the jurisdiction of the court to hear this matter,” he averred. For his part, Izunaso asked for an order transferring the suit to the Chief Judge of the Federal High Court for reassignment to any other Judge of the court. The motion which was filed by his Counsel, Orji Nwafor- Orizu also sought for an order of the court, disqualifying itself from further hearing the suit.